This is my recollection of a battle in VC Valley during late June 1968. After the Battle of Chu Moor in late April 1968 we went to base camp for a stand down for resupply and to wait for replacement troops. We went back in the field near the Dak To airstrip which was the location of a brigade headquarters of the 4th Infantry Division. We operated in the area around Dak To airstrip for a while until we moved to the airstrip. Around this time, we got a new company commander (CO). Both the old CO and the new had been classmates at West Point, Class of 1965, and three years later both of them were doing their second tours. 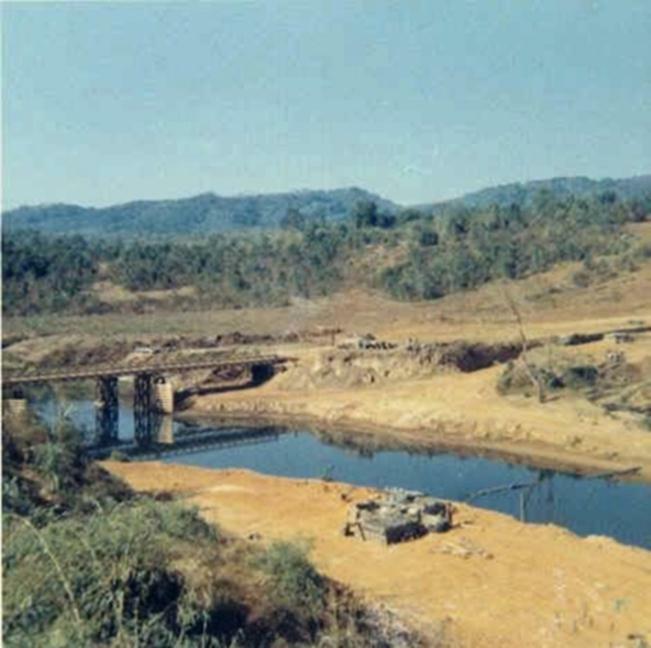 Later we moved out from Dak To airstrip and operated in the area west of Dak To along the road between Dak To airstrip and Ben Het Special Forces Camp where the road crossed over a river by a bridge, and we all were able to go swimming in the river. On 5/29/68 one of our platoons was on a patrol out in the jungle near the fire base and got into an ambush and lost a man killed (Larry Caplan). 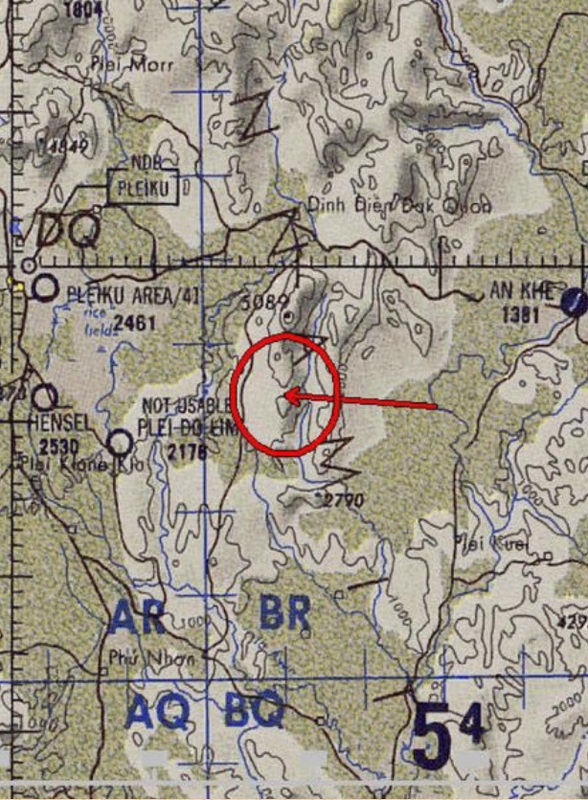 We later moved to the area around Dak Pek Special Forces Camp even further north. The camp was down in a valley. It was common for these camps to be in valleys surrounded by hills or mountains, which of course is the worst possible location to defend. Can anybody say Dien Bien Phu? In late June 1968 we went from the Dak Pek Special Forces Camp to Camp Enari by fixed-wing cargo aircraft for a couple days stand down. We then went to the V. C. Valley area east of Camp Enari, south of the Mang Yang Pass where Highway 19, goes through the mountains between Pleiku and An Khe. 26 Jun, Company C, 1st Battalion, 22d Infantry made contact with a two platoon size force at BR110336.Two US were slightly wounded. Company A, 1st Battalion, 22d Infantry was used as a blocking force in the contact, killing one NVA at BR105326. At YA870786 Company B, 2d Battalion, 35th Infantry exchanged small arms fire with three-four individuals resulting in “one US KIA and two US WIA. An armored personnel carrier from Troop A, 2d Squadron, 1st Cavalry hit an unknown type mine resulting in two US wounded. At AS806104 Troop A, 7th Squadron, 17th Air Cavalry observed several huts under construction and one B-40 rocket launcher on the ground. Troop A continued to hover in the area and received ground fire from an estimated three small arms, Gunships were employed on target and received intense automatic weapons fire from three-four positions, Artillery and airstrikes were employed after the gunship made their runs, resulting in one NVA killed by artillery, two NVA killed by airstrikes; and three NVA killed by gunships. 27 Jun. One CSF from PIEI DJERENG CSF Company was killed in a contact with an estimated VC Platoon at YA851413. 28 Jun. At BR104331 Company C, 1st Battalion, 22d Infantry made contact with an unknown size force. Artillery, gunships, and airstrikes were employed, US casualties were two KIA and six WIA. 29 Jun. Company C, 1st Battalion, 22d Infantry found four, NVA bodies believed to be from 28 June contact at BR104331. 30 Jun. The wreckage of an H-13 helicopter from the 52d Artillery Battalion was found at ZAl05457. The helicopter was down for unknown reasons and resulted in two US KIA. On or about June 25 we made a combat assault by helicopter on the west side of the valley. We set up a patrol base and send out some initial patrols. June 26 – the entire company was on patrol when we walked into an ambush. Our FO directed artillery fire where we thought the NVA positions were and the CO called in air strikes including napalm. We sustained two WIA. I was about 10 meters from one of the RTO’s (Mike Davis) when he was wounded. He was still talking on the radio when hit by several more rounds. Mike later died on July 5. June 27 – in order to determine if a bombing attack on an enemy position is successful, a Bomb Damage Assessment (BDA) patrol is conducted. It was decided to send one platoon out to patrol the area to investigate the results of the strike mission. We did not make contact that day but later in the afternoon it was discovered that one man was MIA (Vinnie Giammarino). An immediate search was conducted by the remaining patrol members. They found boot tracks believed to have been made by the missing rifleman. These tracks led back toward the patrol’s base. Unfortunately, the tracks were lost in the darkness. At first light additional search teams were brought in and over the next two days thorough searches were made of the area. The boot-track trail was picked up again, then lost in the rough terrain. On the second day, an aircraft-mounted loud speaker was used to try to reach the missing soldier and assist him in rejoining the unit. We searched and searched but he had vanished. He may have been captured by the NVA or gotten lost during a break when he went out on an Observation Post (OP). June 28 – we were planning on setting up a new patrol base. One platoon went directly to the new location and the rest of the company started out on patrol with the idea to meet at the new patrol base in the evening. The company was caught in another ambush. This was in very dense jungle where visibility was limited. We were pinned down most of the afternoon until another company came to help us out. We had two KIA that day (Blair Keown and Louis Kimbrell). We were unable to evacuate our wounded or dead that night so we moved from the ambush site to an improvised patrol base. June 29 – we found an open area where helicopters could land so we could evacuate our wounded. The fog was so dense we guided it in by trip flares. Once we evacuated our KIAs and WIAs we started out toward the new patrol base we had been going to the day before. We were all expecting another ambush but fortunately we did not make contact that day. We met up with the other platoon and got hot food sent out to us from either the firebase or from base camp. When they were taking off the food containers I got on the helicopter to return to base camp since my DEROS date was in 4 days. I was so short that I could fit inside my helmet and still play handball against the curb. Given that I am writing this from events that occurred more than 40 years ago, my memory may be a little fuzzy/hazy/shaky. If you remember other events, please let me know so I can update and post them to this battle history. Thank you for taking the time to share your story. I went to HIgh School with Louis Kimbrell. I was serving in another part of the world when I got word of his death but little in the way of details. The information was important to me. I appreciate the additional info on Louis. He was a good friend. I also would like to thank you for your service and for taking the time to record this history. I was in VC Valley in 71 as a member of the Recon Platoon, 20th Cbt. Eng. Bn. We based at FB Weight Davis next to the 23rd ARVN Inf. Base Camp. I was RTO and later squad leader. I appreciate your story. It was a tough place to fight. We had a few WIA, no KIA but ARVN’s had KIA’s. Prior to the stint in Recon, I was in C Co. 20th, and we had many an ambush on the Mang Yang Pass as we repaired QL19 from VC mines, etc. We were primarily road builders, bas camp was Camp Wilson in Pleiku, not far from Enari. Thanks again and welcome home. Bill – I was a photographer (221st Sig) taking pics of something going on with the com center at Pleiku in the Spring of 71. My photo team and I hitched a ride on the road from Pleiku to Cher Rio (SP?). Can you tell me the name of that road and did it run through VC Valley? Paul Ruez, Vista Ca.